The weekend before Christmas, John and I made our annual trip to Bend and Mt Bachelor with a lot of our good friends to kick off the ski and snowboard season. This is the 4th year we have done this, I look forward to getting together with everyone, drinking, eating, watching cheesy ski movies and of course snowboarding. Sometimes the weather on Mt Bachelor is less than optimal for snowboarding, which happened one day during our trip, it was raining instead of snowing. I took advantage of the "free day" and went running on the Deschutes River trail, which I have done on a few other trips. I thought I should find a different trail, but the proximity to Bend, length of the trail and being right next to a river is hard to beat. Luckily the rain held out for me and I didn't have to run in snow like previous years. I highly recommend this trail, if you ever find yourself looking for a route to run while waiting for snow to fall. 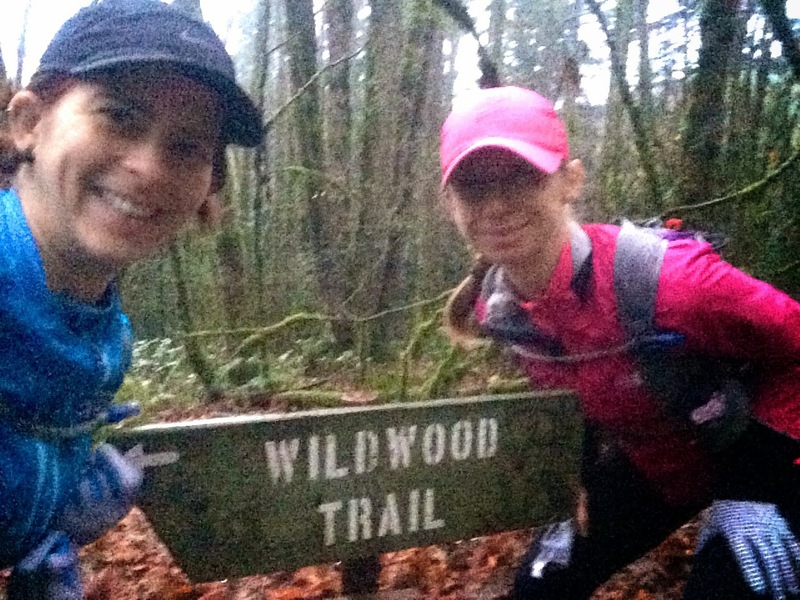 Our very first "ultra" (distance greater than a marathon) was running the Wildwood trail from its start near the zoo in Washington Park to its sudden end at Newberry Road in Forest Park in 2011, only a few weeks after running our first trail marathon. The day we did it happened to be right between our birthdays, which are only six days apart and fall near the long Thanksgiving holiday weekend. Back then, it was more birthday challenge than treat. I got home late on Friday night, and it was my turn to pick the route for our long run on Saturday, so I searched our blog and chose a 20 miler we hadn't done in a while. It was a straightforward loop, but it felt hard; much more difficult than our 38 miles last Saturday. Was I still recovering from last week's very long run? Tired from a night of little sleep? Dragging from the wine I drank last night? I think the answer is yes, to all of it. After our picnic break, Ann was feeling it too. Although the conditions were great-- it wasn't raining and it was a great temperature-- we were both glad when it was over. Nearly to Birch, on Wildwood, we almost stepped on this cute little long-toed salamander (Ambystoma macrodactylum)-- a welcome distraction! 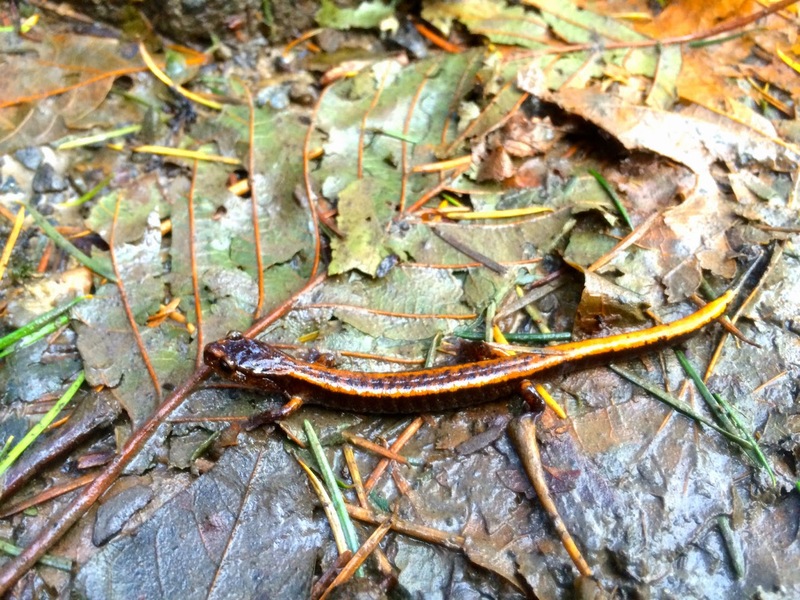 This is only the second salamander I've seen in Forest Park in the decade I've been running there.